WASHINGTON (CNS) — Pope Francis’ encyclical “Laudato Si’,” which was promulgated June 18, 2015, has provided both a motivation and a framework for Catholic universities implementing sustainability projects. The encyclical, which has acquired a reputation as the “environmental encyclical,” has made Catholic universities more aware of their connections to and impact on the natural world. But the effects of “Laudato Si’,” just like the encyclical itself, go beyond just a renewed commitment to environmental causes. Pope Francis uses these words, as well as previous pieces of Catholic social teaching, to conclude that environmental problems cannot be separated from a much broader network of problems facing human society. This integral approach toward human problems has encouraged Catholic universities to begin to understand all their efforts as part of an interconnected whole, not merely individual programs, and some Catholic universities have risen to the challenge. St. John’s University in New York, the University of Dayton in Ohio and the University of San Diego have all received a gold STARS rating from the Association for the Advancement of Sustainability in Higher Education in the time between the promulgation of “Laudato Si'” and now. The STARS program, which stands for Sustainability Tracking, Assessment and Rating System, is a transparent and self-reporting framework that includes both short-term and long-term sustainability goals for all kinds of colleges and universities. The heads of sustainability efforts at all three universities said that “Laudato Si'” played an important role in their renewed commitment to sustainability efforts. According to Michael Catanzaro, director of sustainability at the University of San Diego, said “Laudato Si'” was “super present to our minds” when the university instituted a Climate Action plan in 2016. The plan builds on previous progress by the university, which has cut its energy consumption by 20 percent since 2010 and used less water in 2016 than it had in any of the previous 25 years. From this starting point, the plan aims to reduce the environmental footprint of the university from a baseline of 2010 by 15 percent by 2020, 40 percent by 2030, and 50 percent by 2035. The university is taking action beyond the larger pieces of the plan, such as reducing water use and electricity use, using more renewable sources of energy, and reducing gas use by both students and faculty commuting in and on-campus shuttles. To Catanzaro, the smaller pieces of the plan, such as reducing food waste, are just as important. He mentioned that reducing food waste had a special resonance to him. “The first level of defense is eliminating waste,” he said, and eliminating food waste is immediately visible in a way that eliminating other kinds of waste is not. Catanzaro told Catholic News Service he believes that “Laudato Si'” serves as “a set of lenses” with which to look at the various problems confronting the university and the world. “The pope speaks to these embedded systems creating the problems,” he said, and the encyclical, by identifying the sources of the problems, makes it easier to attack the disease and not merely the symptoms. The emphasis on sustainability in “Laudato Si'” is a part of the pope’s diagnosis of the evils of the modern world, said Catanzaro. “A culture of consumption creates a lot of the challenges we’re facing,” he said. He thinks it links together several other ideas discussed in “Laudato Si’,” such as the quickening pace of human life, a throwaway culture, and the subjection of politics, especially in the Third World, to technological and financial interests. While “Laudato Si'” has provided a framework for sustainability efforts, Catanzaro is still working on integrating and seeing all the university’s efforts as parts of a larger whole. Aside from wanting to be environmentally sustainable, “we aim to serve as a community anchor and shed light on inequity and environmental and social injustice,” he said. Catanzaro sees the various programs at the University of San Diego as “taking small actions that amount to something larger,” and he hopes that all the small actions people take will eventually come together to produce larger change. At the University of Dayton, “Laudato Si'” served to encourage further sustainability efforts. The school already had been working on sustainability efforts for many years and had divested from fossil fuels in 2014, but the school “took ‘Laudato Si” to heart” when generating a report in every department looking for ways to become more sustainable, according to Steve Kendig, the executive director of energy utilization and environmental sustainability. The encyclical also reinforced the importance of the school’s Catholic and Marianist values, according to Kendig. “We try to maintain the integrity of all creation because protecting the life and dignity of all is part of our mission as a Catholic institution,” he said. Kendig sees the school’s efforts against food deserts in the Dayton area as an important part of the sustainability efforts. Since studies have shown that Dayton is the second-worst city in the nation for food insecurity in households with children, the university views its work in this area as an important part of supporting the Dayton community. “There’s a collective sense here on campus that we promote Marianist values,” Kendig told CNS. Students in a variety of programs contribute to that promotion and the school’s sustainability efforts. For example, some students in the department of engineering management, systems and technology worked on the logistics of trucks driving to and from a food shelter, and they ended up cutting several hundred miles of driving each week. The food shelter ended up saving enough money to provide 400 additional meals every week. The university’s work in Appalachia reflects the understanding of “Laudato Si'” that care for the environment and care for the poor are intertwined. “During move-out week we collect furniture, small appliances, and food, and take it down to Appalachia,” Kendig said. Many people in that region have a hard time getting small appliances, according to Kendig. This program both helps the university be more sustainable by reducing the amount that gets thrown away and helps it fulfill its obligations to the poor by providing for their material needs and comfort. The Hanley Sustainability Institute, which was established in 2014 with a $12.5 million gift from the foundation of George and Amanda Hanley, helps promote the cross-disciplinary work at the school and the connections with community organizations that make much of this work possible, and Kendig said that one of the goals of the institute is to both integrate sustainability into the life of the college and make it visible, helping to create a cultural change along with the material efforts. To support that goal, St. John’s has taken advantage of a number of programs offered by both New York City and New York state aimed at reducing its carbon footprint. “We’ve taken advantage of statewide technical assistance programs to find out what is achievable in energy efficiencies,” said Goldsmith. The university also has tried to bring about a cultural change with its food waste program, which started in 2009 and was expanded in 2012. 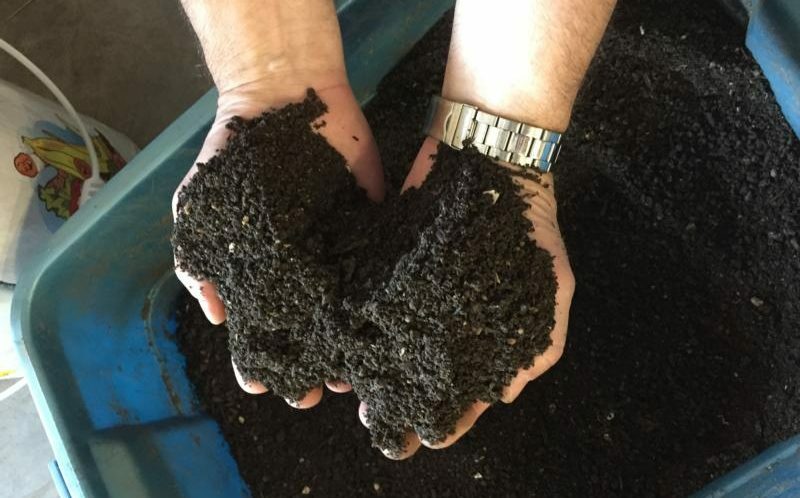 In addition to composting food waste and using the resulting soil in gardens, the program also aimed at getting students to take less food and scrape their plates into the compost bins, and it succeeded. The program also takes both leftover food from the cafeteria and food grown in the gardens made with the composted soil and takes it to food kitchens. Goldsmith referred to the idea embodied by this part of the food waste program as “conserve to serve,” showing that the programs that protect the environment and those that aid other people are interconnected. At all three universities, students have been receptive to sustainability efforts and, in some cases, requested even more. While progress has been made, Catanzaro wants to make sure that “Laudato Si'” continues to encourage them and that universities not become indifferent to their sustainability efforts.